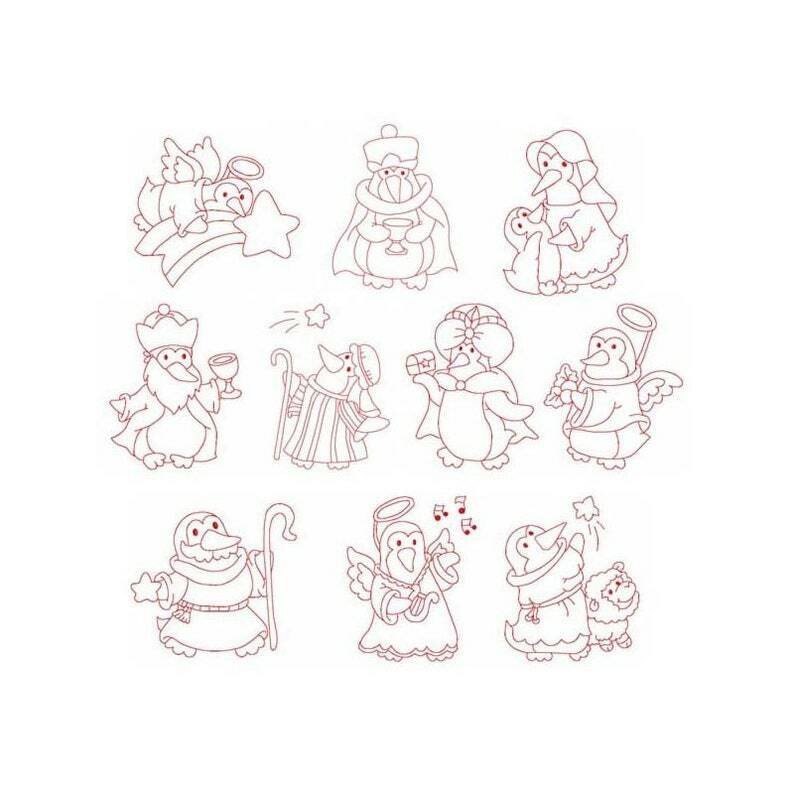 Ten Delightful Christmas Manger Penguins Linework designs! Designs fit 4x4 and 5x7 hoops. Each Penguin comes in two versions, one is thinner and one thicker. Exclusive artwork by Adrian Embroidery Art.